Click Here To See Spawn #36 Comic Book! 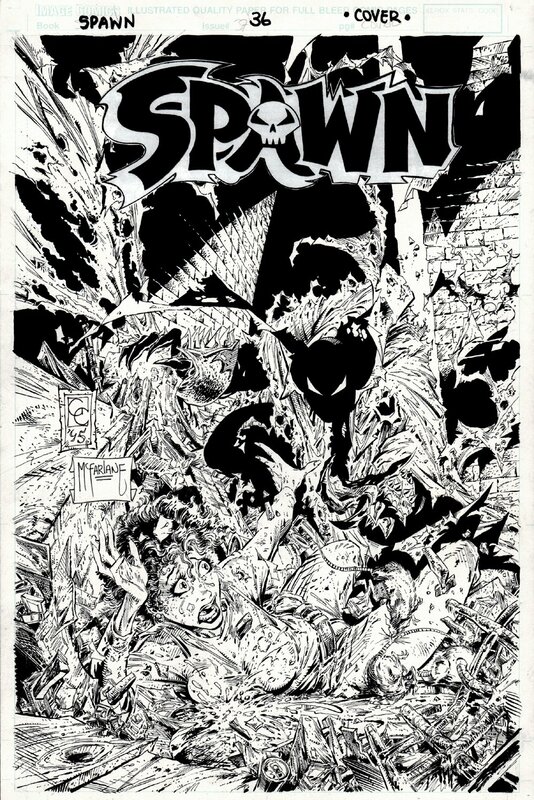 Check out this AWESOME 1995 SPAWN cover, which was penciled by the great Greg Capullo, and inked by the totally great Todd McFarlane, from an ever classic FIRST APPEARANCE issue titled: "Cursed!" 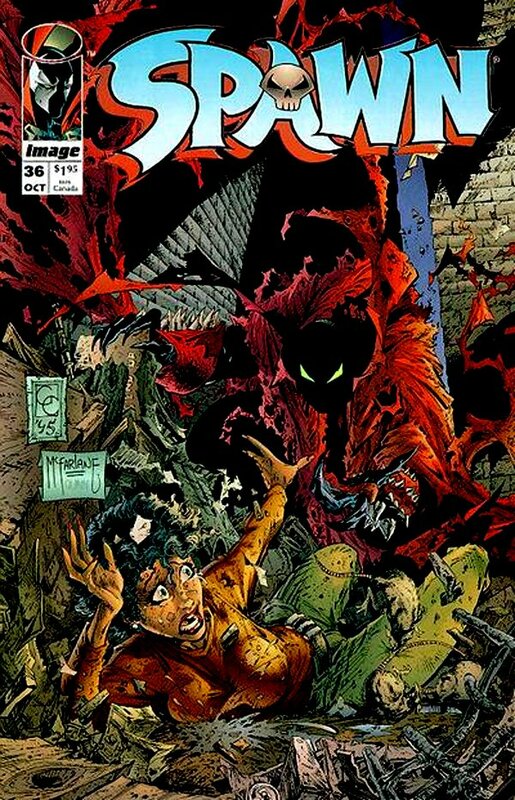 This INCREDIBLY DETAILED ACTION cover features a FULL BODY SPAWN image, as he comes up to a super scared Wanda Fitzgerald in an alleyway with lots of background debris all over on this very busy, very detailed inked McFarlane! WOW! Cover is signed in the art by both Todd McFarlane and Greg Capullo! The logo is added afterward, as image covers didn't have stats created from the publisher back then. Compare this nice cover art to the published comic book in the red link above! ALL art on our website (including this one) are able to be purchased with VERY fair time payments, and trades are always considered towards "ANY" art on our website! Just send us an email to mikeburkey@aol.com and we can try to work something out.